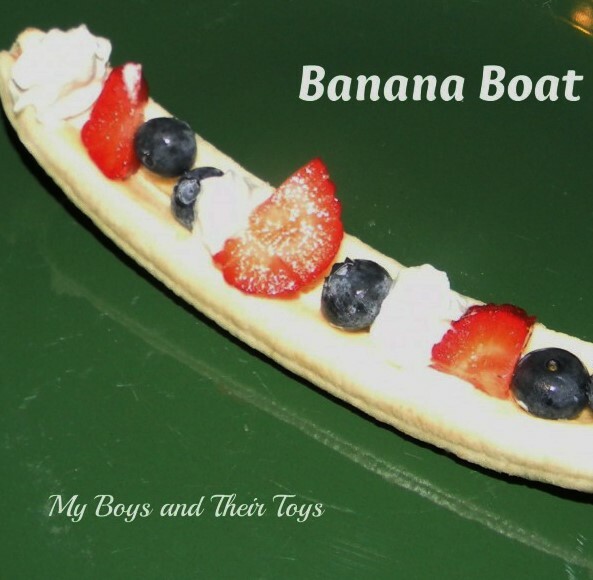 See why this Banana Boat food craft is easy and fun for kids! 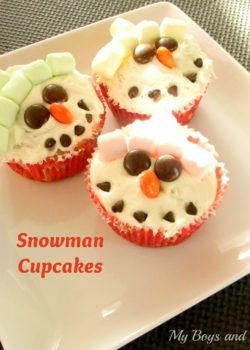 Looking for a super easy food craft idea for the kids? All you need is a few ingredients and about 10 minutes. 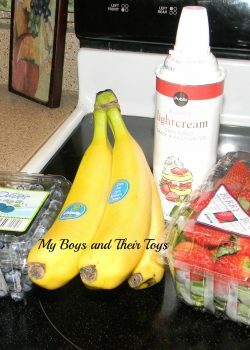 First grab some bananas and whip cream, along with any fruit toppings of your choice. 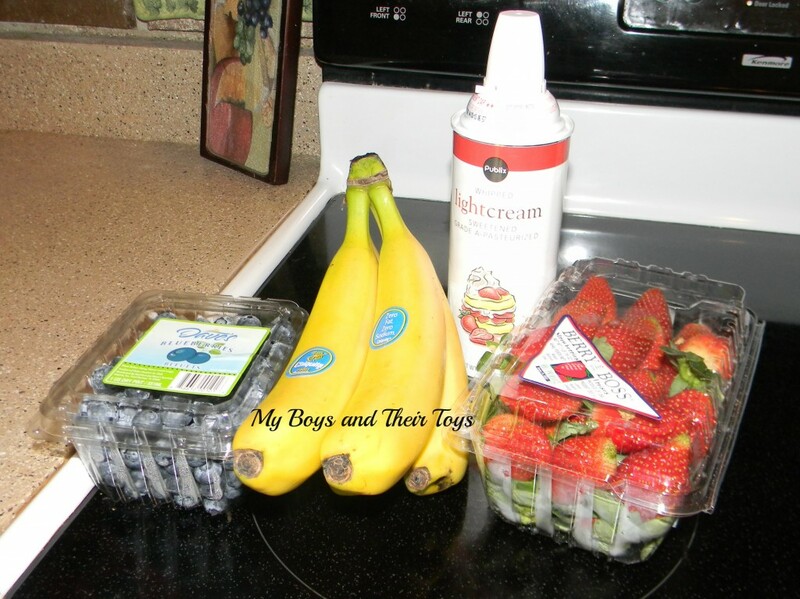 We chose blueberries and strawberries for our banana boat. Christmas may be over, but winter officially began Dec 21st this year. While there’s no snow in sight for Central Florida, the weather has turned chilly here and we decided to seek out a wintery food project for the kids. 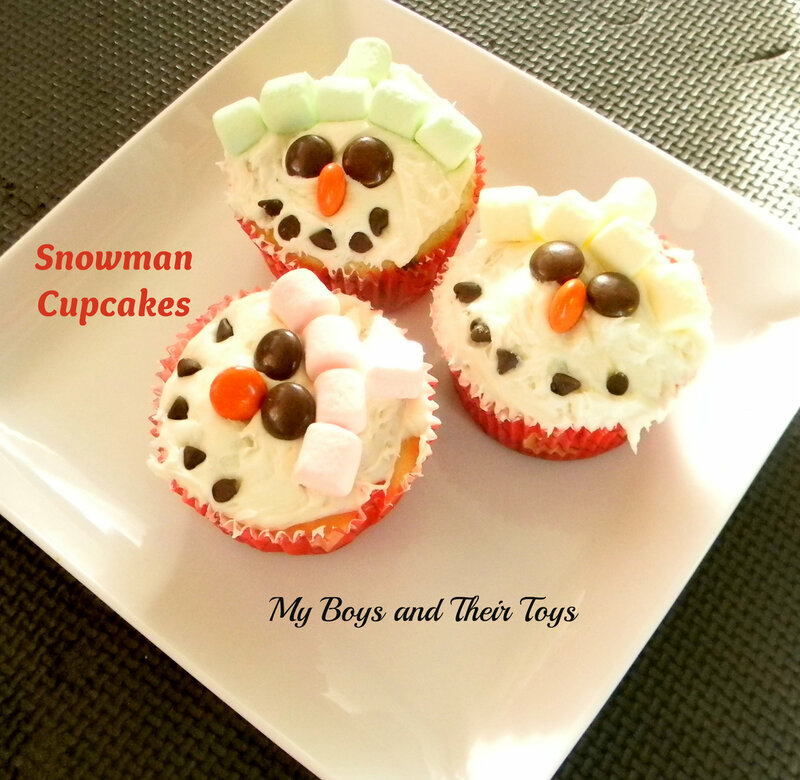 Hubby and I came across an adorable picture of Snowman Cupcakes and knew this was something simple enough for a 4-year-old, yet fun and tasty too! 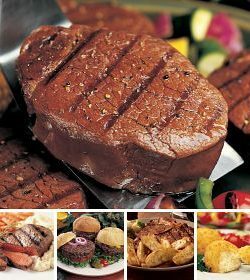 When I think of Gourmet food gifts I think of Omaha Steaks, a family business since 1917. Over the last few years, we’ve been lucky enough to receive several packages of Omaha Steaks products and thoroughly enjoyed them. 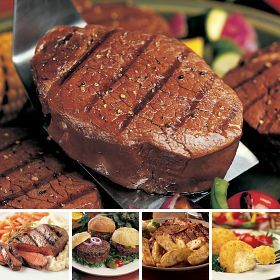 So naturally when I began compiling a list of “must have” holiday gift items, Omaha Steaks was at the top of the list. There’s something for everyone this holiday season in The Festive Assortment! With our legendary Filet Mignons starting the season off right, everyone who gets this generous assortment will feel absolutely loved. And they’ll be pleased as can be when they find the Top Sirloins, Gourmet Burgers and delicious potato sides also included in this delicious gift.